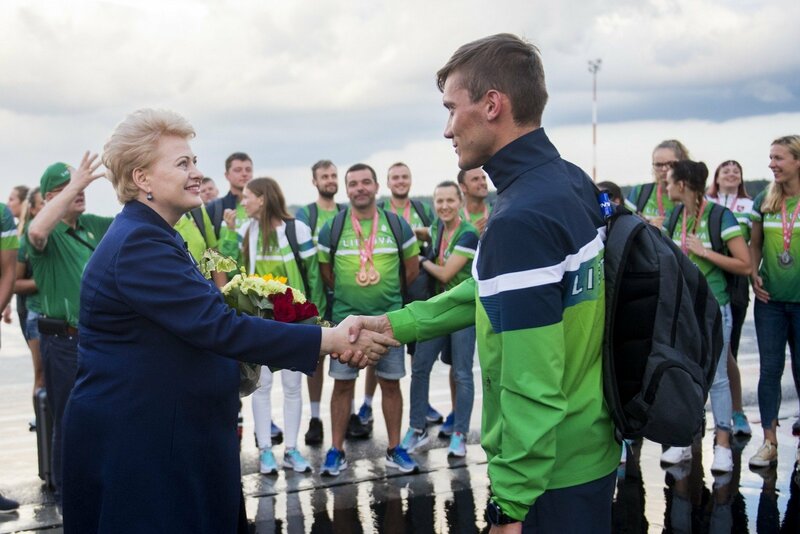 Lithuania's President Dalia Grybauskaitė on Monday evening congratulated athletes of the Deaflympics 2017 and their coaches on winning 13 medals in the event in Turkey. "I am very happy to have had an opportunity to meet you here today. 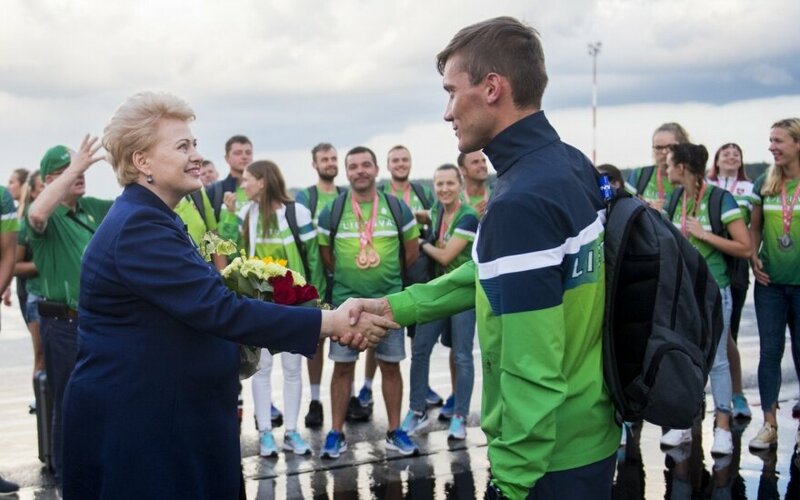 You probably did not know that I was on my way from Tallinn when I learned you would be coming or not coming, I still decided to wait," the president told the athletes. Grybauskaitė invited the delegation to the President's Office for an awards ceremony scheduled for Tuesday. "You are one of the world's best teams – this is the third time you're bringing home 13 medals. It is an enormous achievement for a country, such as Lithuania," she added. During the Deaflympics in the Turkish city of Samsun, Lithuanian athletes won one gold, five silver and seven bronze medals.